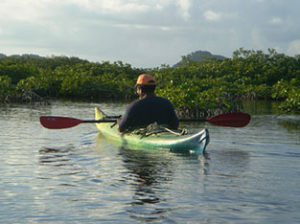 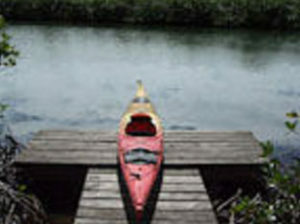 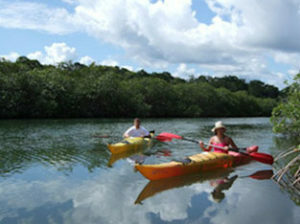 Twisting and turning along the northern boundary of PG, Joe Taylor Creek offers sea kayakers a two to three-hour excursion through mangroves upstream, or emptying into the Gulf of Honduras going downstream. 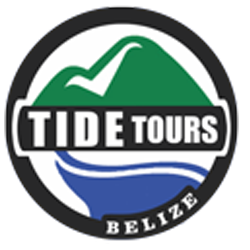 The creek runs alongside the TIDE Tours office, so it is a convenient place to start your tour, and if you choose to kayak down to the mouth of the creek and into the sea, you can come back around and meet the office from the other side. 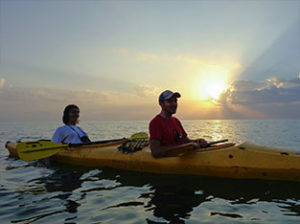 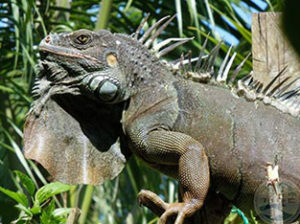 Early morning kayak trips to seek out birds, iguanas and other wildlife are the perfect start to your day in Punta Gorda. 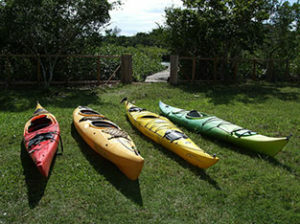 Kayaks can be rented by the hour or half day, or you can book a guided tour and learn more about the local flora and fauna with an experienced wildlife guide.